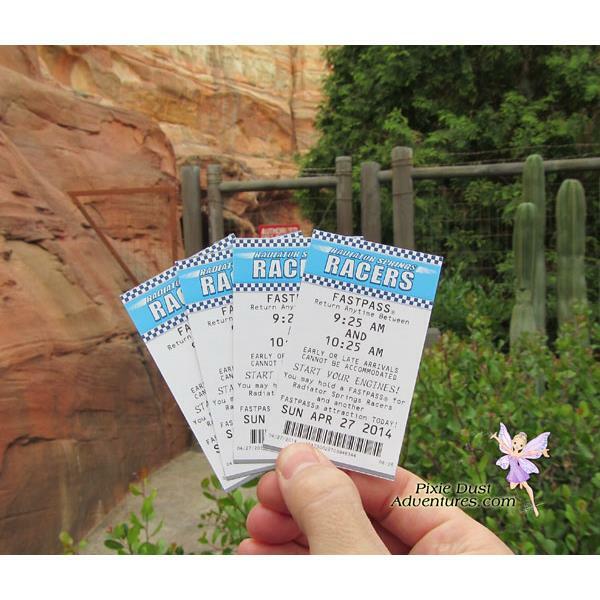 Fastpasses are a must for Radiator Springs Racers. They are given out early in the morning & even the line for the fastpasses can get long. They currently do not count against your fastpass allotment so you can hold other fastpasses throughout the day.